Preventative care is at the core of Bloom Dental Group's practice and philosophy. A combination of in-office exams and procedures, at-home hygiene, and lifestyle considerations like eating a teeth-healthy diet can help prevent disease and injury before they develop. At Bloom Dental Group, your oral health wellness is our top priority. We will work with you to create the right treatment plan for your needs. 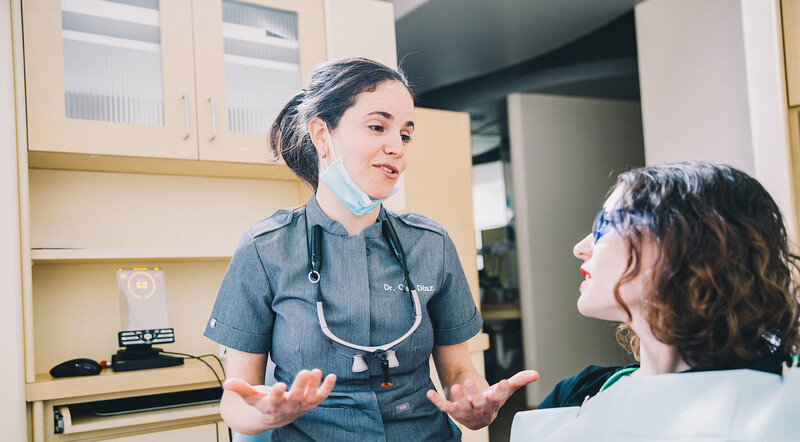 Our dentists incorporate the latest research and technology into every visit to offer you the best care and help prevent major dental issues like gum disease, cavities, tooth decay, and tooth loss. Our practice is committed to using the most advanced technologies available. Through digital dentistry we can help educate, diagnose, and treat you quickly and comfortably. Whether preparing a crown or taking measurements for Invisalign, digital scanners help provide a perfect fit. 3D printers mill crowns, inlays and onlays on the spot and make surgical guides that help us deliver an implant into exact position. Cutting-edge lasers and sensors make every procedure more comfortable and help reduce recovery time. High-res digital x-ray sensors and intraoral cameras instantly reveal what's going on in your mouth. You will see everything we see so that you can get the full picture, too. By embracing the latest dental technologies at our office, Bloom Dental Group patients receive super-accurate care and a treatment plan that is transparent and easy to comprehend. The name Bloom Dental Group is derived from our mission to help transform the community around us. Giving back is part of our DNA. Every year the office goes on a service trip to an underserved community. On these missions, we have the opportunity to volunteer our dental services to patients who lack access to proper care, bringing the Bloom Dental Group touch to those who need it most. In our years of experience, we’ve found that those who use electric toothbrushes have healthier teeth. We developed our very own smart electric toothbrush to help our patients enjoy the best oral care at home. Complimentary for all Bloom Dental Group patients, the toothbrush comes with five sonic brush modes to provide top-of-the-line cleaning. It also stays charged for over 100 days and can easily be recharged via USB. With our brush, you can be proactive about your dental care by measuring and maintaining your hygiene habits over time. Along with your complimentary smart toothbrush, Bloom Dental Group patients leave the office with some of the most luxurious hygiene products on the market. Your new samples of Cocofloss and Marvis toothpaste and mouthwash ensure that your at-home dental experience is just as excellent as the care you receive in the office.